A desperate tiger tried to seek out human help with a severe tooth and gum problem. 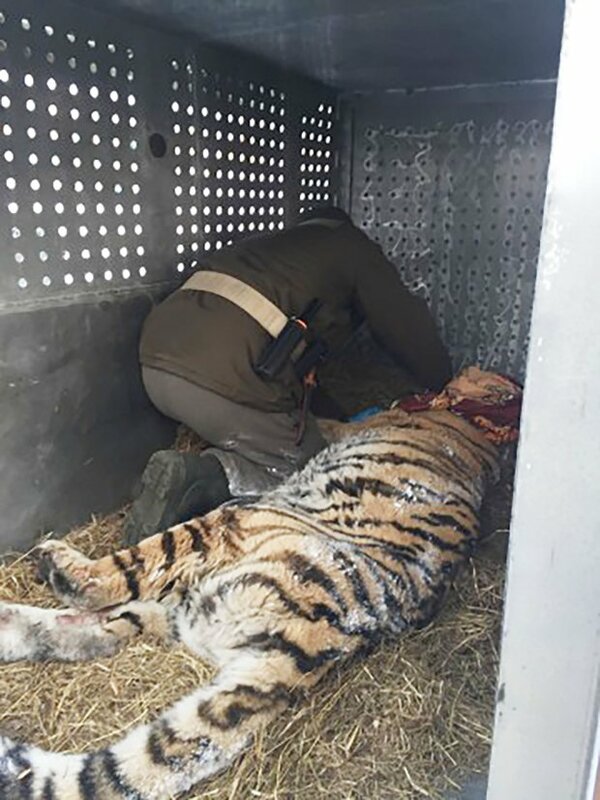 The Amur tiger sought out a house in the remote village of Solontsovy, north of Vladivostok in the Russian far-east, and lay down quietly on the porch. These big cats usually shun all human contact, but the emaciated female tiger was clearly exhausted and in need of urgent dental assistance. Galina Tsimano, who lives next door, explained how her neighbour had been surprised to find the cat on his doorstep in the early morning. She said: ‘Alexey Khaideyev came across a tiger on his porch. He and his wife and grandmother live on the outskirts of the village, near the river and forest. As Alexey pushed the door open, he heard a tiger growling – at which point he retreated back inside and called the emergency services. Tiger experts are now sure that she was seeking human help for her tooth pain and hunger. 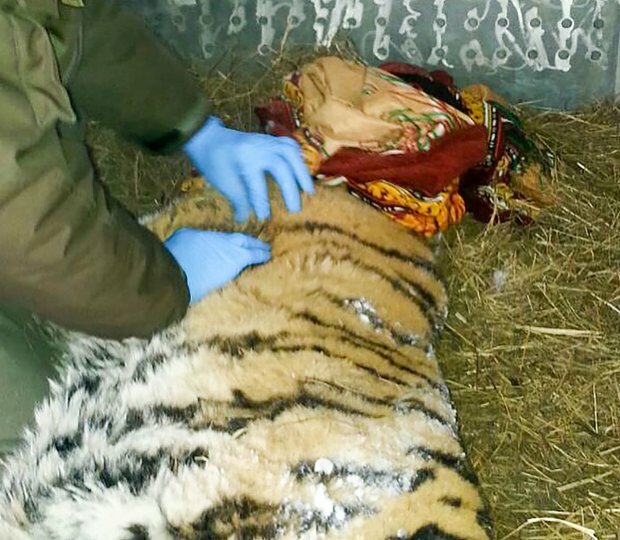 An emergency team came to Alexey’s home, sedated the tiger and then moved her to a rehabilitation centre in Alekseevka. Sergey Aramilev, director of the Amur Tiger Centre, told The Siberian Times. Fortunately their initial fears that she had been wounded by poachers proved unfounded.